Autumn is a beautiful time of year! Not only do we get some stunning blooms but we also begin dreaming, planning and preparing for any adjustments and/or additions we want to make in our rose gardens. View below for some tips and tricks when selecting roses for your garden and how to prepare the soil, plus your rose care tasks for Autumn. Ever wondered what you can plant along side your roses? View below for our guide to companion planting with roses. - Special Collections - 25% off and FREE FREIGHT! - 2019 Colour Catalogue - OUT NOW! - 2019 Annual Rose Pruning Demonstration Day - Come learn from the experts! We have four exciting collections to choose from. Each contains 5 stunning and healthy bush roses. Each collection has been DISCOUNTED to 25% OFF the total value. This fantastic offer is only available for a LIMITED TIME - order yours now!! **free freight offer is available for orders containing bush roses only and excludes any order containing standard or weeping roses. Many are still in the post and should arrive in your mail box next week. If you have not requested a catalogue or have not placed an order with us in the last 12 months, make sure you request a copy by clicking below. Remember, the catalogue is completely FREE!! 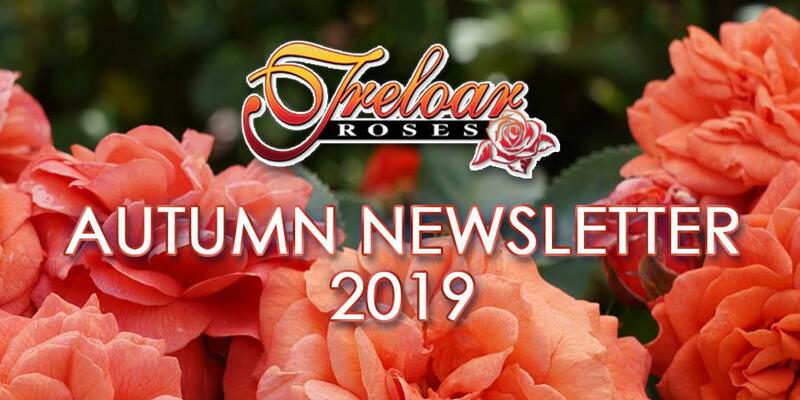 Treloar Roses, together with Endometriosis Australia, is excited to introduce the Lady Endo Rose, bred by one of our most notable rosarians Paul Hains. The release of this gorgeous, highly fragrant magenta pink rose will help create awareness among the community about Endometriosis, a disease that effects 1 in 10 women across Australia. Treloar Roses will donate $2 from the sale of every Lady Endo Rose to Endometriosis Australia to help fund much needed research and #endothesilence. In August 2018, in waters just off Portland, Victoria, a 15 metre Southern Right Whale, affectionately named ‘Tangles’, became entangled in cray pot ropes. After three dramatic days, a dedicated team of rescuers led by DELWP (Department of Environment, Land, Water and Planning) safely cut Tangles free. This rose is dedicated to Tangles and the daring rescue team. These beautiful whales once occupied the waters of Southern Australia in vast numbers but were almost wiped out by commercial whaling. They are now listed as endangered. Through the work of dedicated volunteers and the Federal Government, they are showing signs of a slow recovery. $2 from the sale of each Tangles rose will be donated to the South-Eastern Southern Right Whale Photo Identification Project run by SWIFFT (State Wide Integrated Flora and Fauna Teams) to help the monitoring and research into this majestic mammal. Join us in our display garden on Saturday the 1st of June for our Annual Rose Pruning Demonstration Day. Become your own rose master pruner! Learn from the experts at the Victoria Rose Society on pruning various types and sizes of roses. We will also have demonstrations on planting bare root roses, using and caring for your rose tools by Felco and educational talks on rose care products by Neutrog. Plus, there will be plenty of GIVE AWAYS, bare root roses, gardening products, food and coffee available on the day. Follow the link below for more information and we look forward to seeing you there! 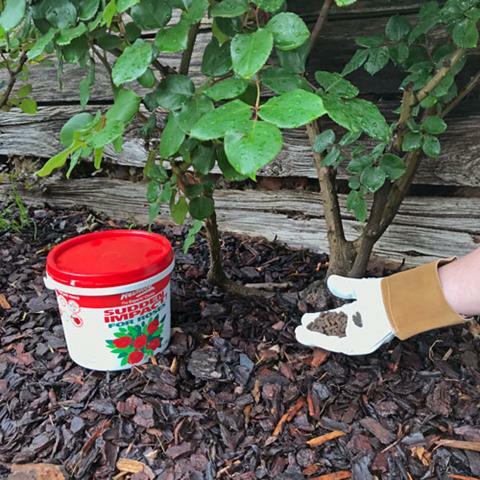 In autumn we begin our planning and soil preparation for any new roses that will be planted in winter. NOW is a great time to place your order before stocks sell out. If you are having trouble deciding which roses to plant in your garden, view our guide on how to select the right rose for your garden. Remember, you can always contact our friendly staff for assistance (reply to this email or contact us on the details at the bottom). PLANT ONE FOR THE BEES: Bees love roses as they are are an excellent source of pollen. Remember, no matter what your taste in roses, plant one for the Bees! 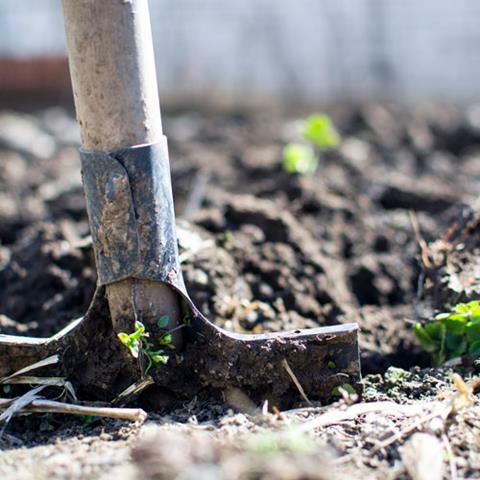 SOIL PREPARATION is best done at least two months in advance of planting. Therefore it is good to start now. View our soil preparation guide for more information. FERTILISE: do this now! Only fertilise in early to mid autumn. Do not fertilise close to winter. View our rose fertilising guide for more information. SPRAY REGULARLY: Due to the added moisture in the air during autumn, fungal diseases such as black spot and mildew can become present. Spray regularly to prevent pests or diseases rather than treating them after they arrive. If there are pests are present on your plants, spray at first sign and perform a follow up spray a few days later. Remember to always use ecofriendly or organic sprays where possible. There are plenty on the market and many home remedies that have been proven to work. Companion planting is a fantastic way to enhance the natural beauty of your roses and increase the visual appeal of your garden. Not only that, companion planting can be an effective method of pest control. Remember, we are here to help! 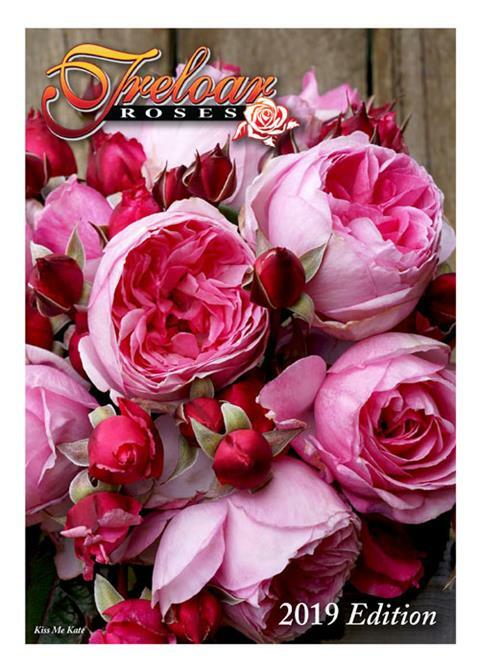 If you ever have any questions about your roses, please contact our friendly staff for assistance.